Top leaders from businesses and governments will network, debate and solve road transport and trade challenges at the International Road Transport Union (IRU) World Congress to be held next month, in Oman. The event is being held under the patronage of Sayyid Asa’ad bin Tariq Al Said, Oman’s Deputy Prime Minister for International Relations and Cooperation Affairs and Personal Representative of HM Sultan Qaboos bin Said Al Said. 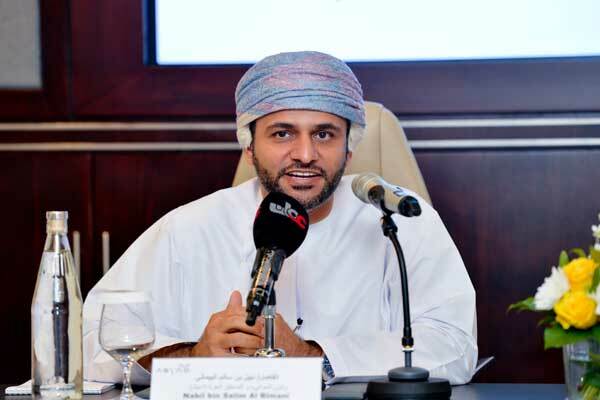 Organised by the IRU and hosted by ASYAD in collaboration with the Ministry of Transport and Communications, the congress will take place from November 6 to 8, at the Oman Exhibition and Convention Centre, in Muscat. “The congress is the right platform to showcase what ASYAD and the country can offer the global community,” he added. Centred on real issues and real potential solutions, over 60 industry leaders including Ministers and CEOs have confirmed to speak including José Manuel Durão Barroso, non-executive chairman at Goldman Sachs and former president of the European Commission; Yuwei Li, director of Sustainable Transport Division at the United Nations Economic Commission for Europe (UNECE); and Nick Earle, IT and transport expert and disruptor. Also speaking are André Borschberg, co-founder, CEO and Pilot of Solar Impulse; Ahmed Al Bulushi, CEO of Mwasalat; Abdul Malik Al Balushi, CEO at Oman Post Company as well as Emerging Markets Editor and Anchor for CNN Business News John Defterios. MAN’s CEO Joachim Drees, Managing Director at Knowles Transport, Alex Knowles, and Customs and Borders Leader at IBM Norbert Kouwenhoven will also speak in different sessions throughout the event. With such a strong list of speakers, the congress offers a unique platform for top-level networking with global leaders, transport companies, regulators as well as the industry’s major suppliers and users. “Which is why we are bringing the road transport industry together in Muscat, with business, government, and thought leaders, to debate the big challenges as well as the big opportunities. Together, with our list of distinguished speakers, we will address the most pressing issues, and give participants the tools to build their business strategy to develop those opportunities,” Blanche said. The comprehensive programme includes more than 20 interactive sessions along with closed ministerial and CEO dialogues focusing on innovation, autonomous road transport, road transport, mobility, and trade. A number of roundtable sessions with high performing professionals will also be held addressing ‘Next Generation Platforms’, ‘Autonomous Road Transport’ and ‘Designing Your Future Workforce’.